Just a week or so after visiting the Ter Apel cloister, a place of peace and contemplation, I arrived at The Holy Monastery of Arkadi in Crete, a similarly contemplative religious place. Arkadi is Eastern Orthodox, while Ter Apel was Catholic and then Protestant, yet it looked to me as if the monks in both places lived in very similar ways. They spent their time in contemplation or prayer inside a church or walking along covered passages around a courtyard. They lived in ascetic conditions in small, simply-furnished cells. 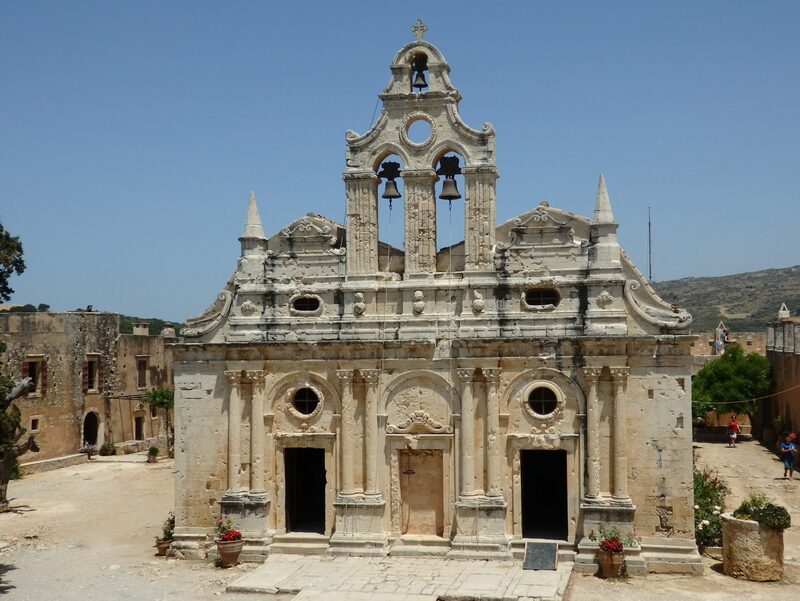 Arkadi Monastery, founded in the 13th century, is about 20 minutes by car from the town of Rethymno in the inland hills of northern Crete. The most important building—the church, called the Katholikon—dates from the 16th century and has a Renaissance façade. Once holding about a hundred monks, three still live there today. 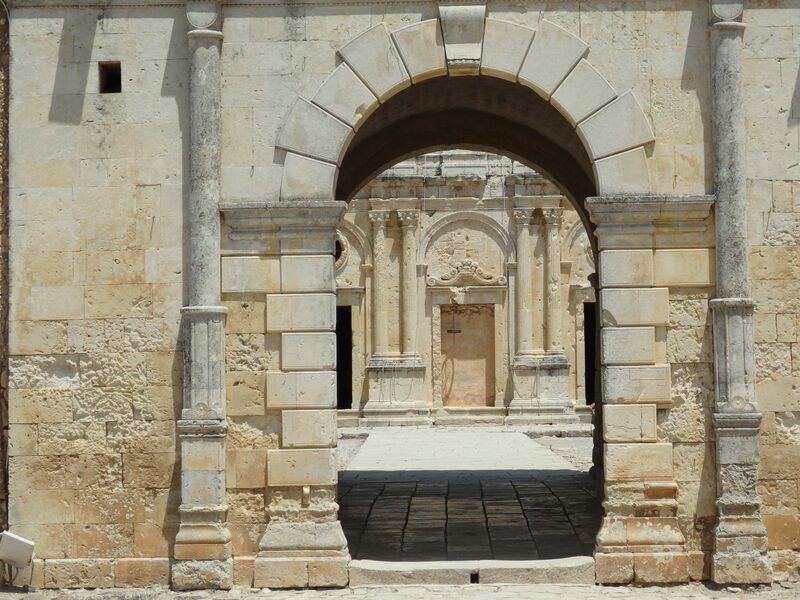 The west gate of Arkadi monastery, with the church in the background. Visitors enter through the west gate in the massive outer building and arrive in a large inner courtyard. Given the climate, this isn’t the kind of green oasis I saw in Ter Apel, yet many potted flowering plants and a scattering of trees still give it a garden feel. Directly through the gate is the church. I spotted Roman influences in the façade, and liked the pleasing proportions of this double-aisled church. Inside, it was typically Eastern Orthodox, with many icons on the walls and votive candles flickering, and a big open space in the middle. In the building encircling the courtyard are many other rooms to explore. A few simply-furnished former monks’ cells show how they lived, as does the refectory. In the basement, besides a gift shop where you can buy an icon to take home, you can see where the monks gave food and shelter to visiting pilgrims and the poor. In the 17th century, the Turks conquered Crete. They ransacked the monastery, but then allowed it to continue to be used as a monastery for the next 200 years. In 1866, the monks at the monastery took part in the Cretan rebellion against the Turks, who threatened to destroy the monastery. A section of the walkway around the edge of the courtyard at Arkadi monastery. According to Wikipedia, the font of all knowledge, the monastery contained 964 people, including 259 armed men. 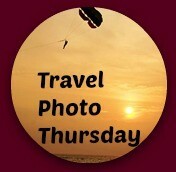 The women and children had taken refuge there, hoping for protection from the Turks. 15,000 Turkish troops arrived and demanded the surrender of the monastery, which the Cretans inside refused. A battle ensued, lasting till the next day, with heavy losses on both sides. The women and children hid in the powder room, where the Cretans stored their gunpowder. When the Turks arrived at the door to the powder room, a Cretan fighter named Konstantinos Giaboudakis set the powder alight, leading to an explosion which killed hundreds of women and children, as well as the Turks and Cretans inside and outside the room. Today, Cretans revere those who died at Arkadi for their sacrifice and patriotism. Photos of some of the Cretan fighters hang in several rooms of the monastery, a “permanent exhibit gallery for warriors of the Cretan race,” according to the sign at the entrance. The powder room remains roofless, with an artwork in its one intact end depicting the crowds packed into the space. 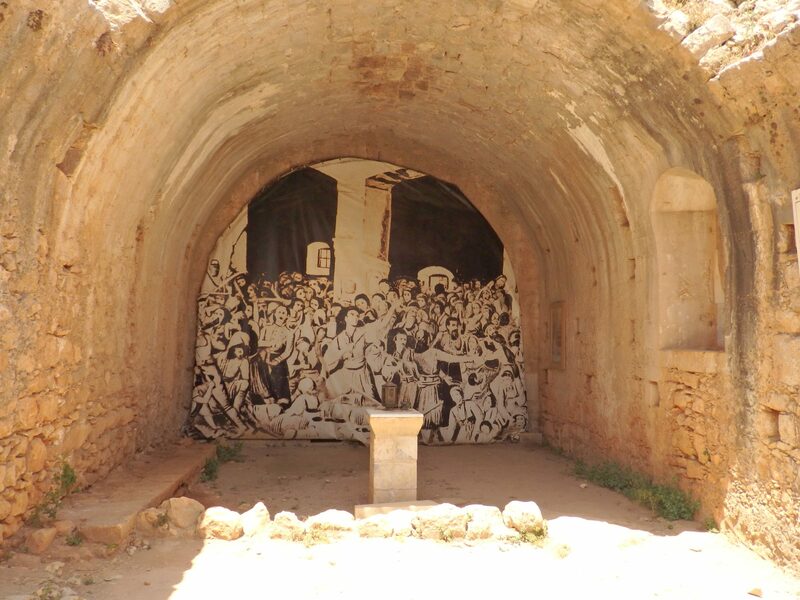 The intact end of the powder room at Arkadi is painted as a reminder of the tragedy that happened there. While I admire the Cretans’ bravery and dedication to their cause, this story raises questions for me. Was this really their only option? I gather that they believed that the Turks would take their women and children into slavery, and perhaps that was so. I don’t know. I particularly would like to know if Giaboudakis at least consulted the women hiding in the powder room. Did they agree to die rather than be captured? Did they agree that killing their children would be better than surrendering to the Turks? Or did Giaboudakis just carry out the ultimate patriarchal decision, assuming that he could speak for everyone by blowing up the gunpowder room? The story reminds me of Masada in Israel, another example of a rebel group choosing to die rather than be taken captive. In the case of Masada, it was the Roman army they were resisting, and, when all hope was lost, they collectively committed suicide. There, too, I wondered if anyone consulted the women before making such a final decision. 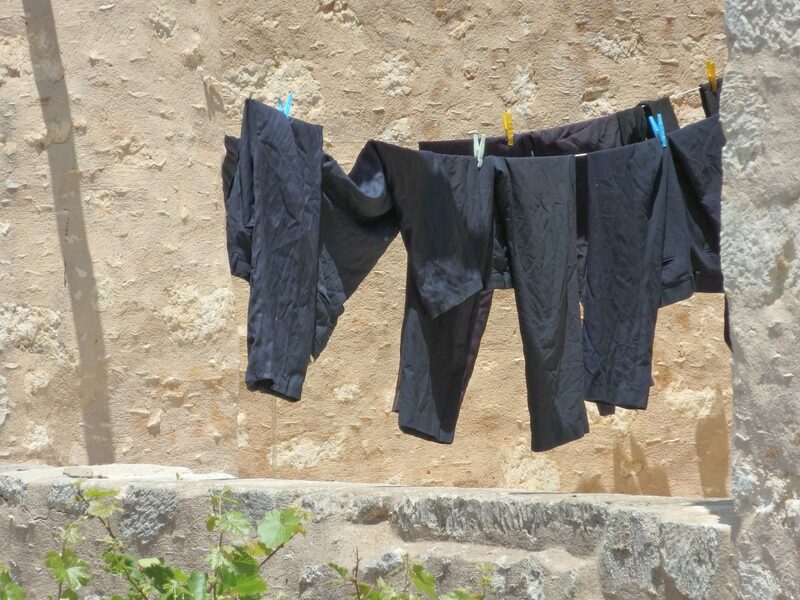 Three monks still live in Arkadi monastery. It’s odd how a place where such horrible violence occurred can now seem so peaceful. Masada felt that way too, when I arrived there in time to see the sunrise. It seems as if the sacrificial deaths that occurred at Arkadi make it, for lack of a better word, holy. 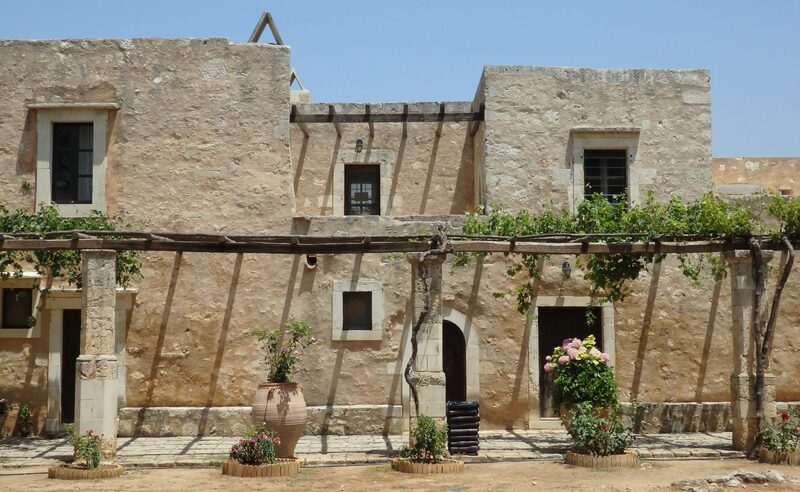 Interesting history of Arkadi Monastery in Crete. As I live in Greece, I gradually hear more and more stories of how this country suffered at the hands of the Turks through the centuries – it’s shocking. Yes, it was not a history I knew much about, but I sensed that the resentment still remains. 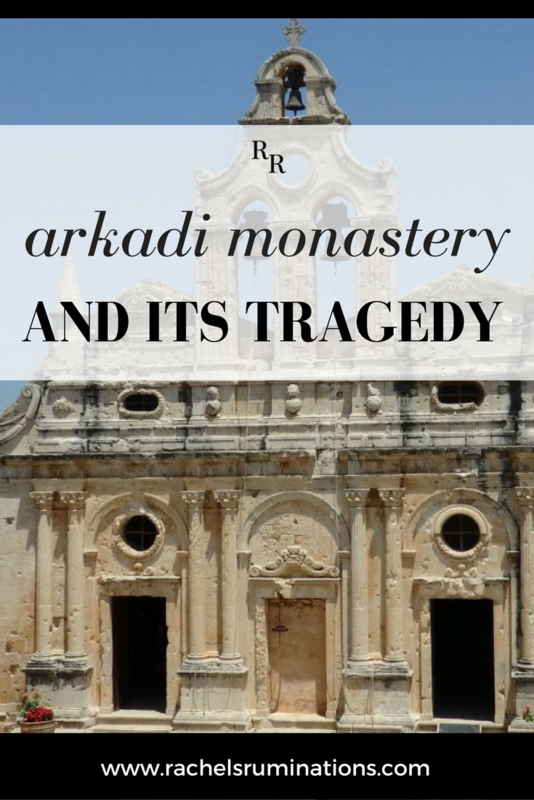 A terrible piece of history – I’m glad that Arkadi has returned to its former peaceful existence. I’m intrigued by the fact that only three monks live there now; that must make it a rather lonely place. Yes, it must be. Though I suppose that would make it that much more conducive to contemplation. I think it’s a problem all religious orders deal with: an aging population and very few young people feeling called to religious life. A great tour and glimpse into yet another area impacted by the Turkish/Greek conflicts. Wow, what a powerful and interesting history. Thank you for sharing it. I love history!! Me too! Nothing better than poking around a good ruin or historical building! It’s wonderful to see that Crete has restored this important place, and that you felt the power of Arkadi when you visited. Special places like this stay with us forever.